At Matt Gardiner MX we want more and more people out enjoying Off Road Adventures and we aim to give our customers the best service, the best products at the best price, so they can worry less about the cost and more about the experience. MATT GARDINER MX... We have been 15 Years in the business and we continually aim to get our customers the greatest deals anywhere. We stock a massive amount of clearance items as well as stocking a huge range of leading brand clothing and accessories. We aim to help all our customers out and every question will be answered swiftly 365 days a year. We work hard for our customers and we make sure you get a great deal every time. We ship out every single working day, 100's of items a day. We process and ship 99% of our orders within 24 hours, chances are if you order before 4pm in the UK you will get the item the next day! 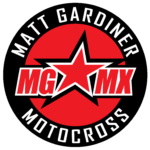 What makes Matt Gardiner Mx Different? Long-Term Relationships with Brands: Our relationships with major manufacturers mean lower prices and better availability for our customers. Our Products: We live and breathe this market! We consistently push for new, better products and uyou will always find something here at Matt Gardiner MX that you will not find anywhere else! Price is King: We know the passion to be in your sport is sometimes outweighed by the money in your pocket to actually take part. We think that isn't always fair. So we strive to get you the best prices anywhere, so you can go and enjoy yourself and never count the cost of fun! Free UK Delivery: We know you don't have a chance to go and browse a big shop for the Jersey or those boots, so we offer free delivery on UK orders and some great prices to Europe and the Rest of the World. Worldwide Shipping: We have customers from Birmingham to Belize, we ship worldwide. We love our international customers. Customer Service: At Matt Gardiner Mx we aim to respond to every single question within a few hours. We know how annoying sometimes it can be dealing with customer service questions thats why we intend to make it fast and simple to deal with us. Follow Us! 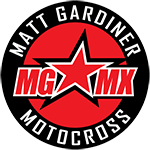 : You can follow Matt Gardiner Mx on Facebook, Twitter, Instagram to keep up to date with our special offers and news. From time to time we will offer exclusive deals and competitions on our social media pages so join, follow and like today to make sure you do not miss out!